A long flight can be quite exhausting; you have to find ways to enjoy your flight. Whenever you are travelling to a different country, a plane is the most convenient way of going there. So if you are planning your next trip to a different country, you will also have to prepare for the ride on the plane. In past, traveling on plane was far more enjoyable as the seats were big and comfortable. 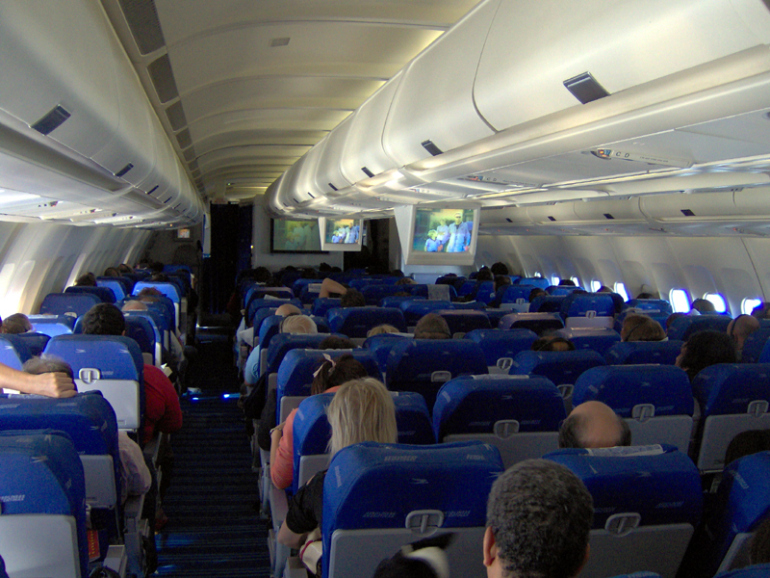 But now, commercial passenger planes are equipped with smaller seats and a rather gloomy environment. So long flight can be boring for you. Here are some cools tips to enjoy your flight. You may find a small sleeping kit on the plane, but it most likely to be less comfortable than your regular sleeping kit. So it is better to carry your sleeping kit if you are going to have a long flight. A small blanket which can hardly cover your whole body won’t allow you to have a sound sleep during the flight. The environment inside a passenger plane is very cold. So it is not possible to sleep when you are freezing. Carry a light sleeping kit with you to enjoy the sleep during the flight. It is better to have some ideas about the rules and regulation of a flight before actually getting onto it. There can be many rules which won’t allow your plans to succeeded. So ask the authority about what is allowed inside the plane so you can carry those. For example, you are planning to watch a movie during the flight and later finds out that laptops are not allowed on board. That can be quite frustrating, so know about the guidelines and plan your travel according to that. Internet is probably the best way to spend your time during a boring flight. But there are some passenger airlines which will not allow you to use the Wi-Fi unless you pay for it. So make the arrangement before getting onto the flight. If you are travelling for business purpose you will need Wi-Fi connectivity inside the plane. You may need to pay a small fee to use the on board Wi-Fi. But it is worth the money. Having internet connectivity during the flight will make your trip a lot enjoyable. A long flight can be very exhausting if you are not hydrated. The environment inside a plane is not humidified enough for you. Which can lead to many conditions you may have never faced before. But you can avoid all of those by drinking a lot of water. Drink a lot of water during the flight to keep your body hydrated. You have to start early, so start drinking right after getting onto the plane. Drinking a lot of water will make your flight enjoyable. You won’t feel exhausted if you drink a lot of water during the flight.